Gran-sorb all-purpose loose granular cellulose absorbent is clean, safe, effective, highly absorbent, and environmentally responsible. 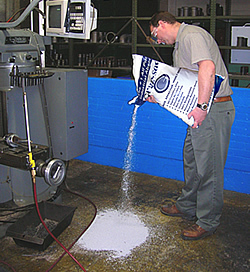 Gran-sorb granules absorb oils, solvents, lubricants, coolants, water, and most non-aggressive liquids on contact. Because Gran-sorb is made using waste material form select paper mills, it is safe for the environment and can be used on almost all types of spills and clean ups. A pallet load of 65 bags, each weighing 30 lbs. can absorb 260 gallons spilled fluid. 1:1 absorbency ratio (weight-to-weight) = (1) 30 lbs. 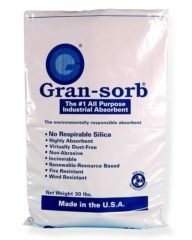 bag of Gran-sorb absorbent will absorb 30 lbs. of oil (approx. 4 gallons). NOTE: This product is sold by the pallet load, which requires additional freight charges. A standard pallet load consists of (65) 30 lbs. bags. 1:1 absorbency ratio (weight-to-weight) = 30 lbs of Gran-sorb absorbent will absorb 30 lbs. of oil  approx. 4 gallons. 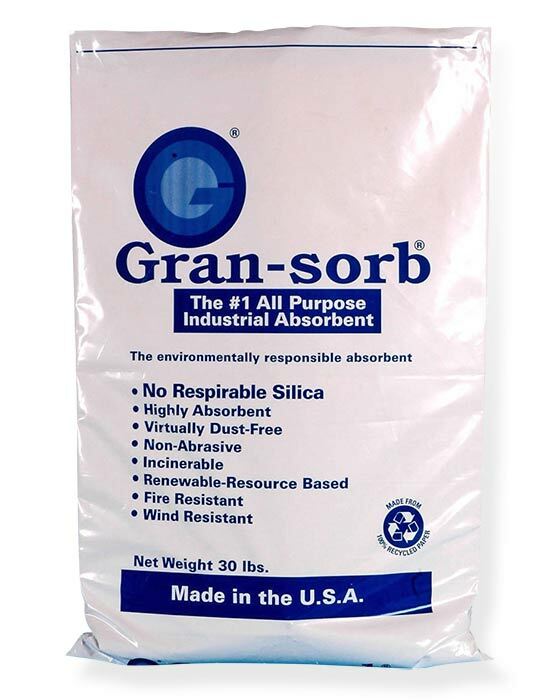 Gran-sorb is OMRI listed and considered an organic, all-purpose absorbent. Gran-sorb absorbent is the loose granular absorbent with a difference. It delivers the performance you want plus the level of safety and environmental protection you need. 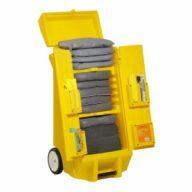 The materials listed in this Material Safety Data Sheet are classified as non-hazardous in accordance with the definition as set forth in 29 CFR Part 1910.1200(g) (2) (c). 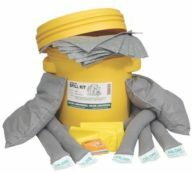 Emergency contact is to be used Only in the Event of Chemical Emergencies Involving a Spill, Leak, Fire, Exposure, or Accidents Involving Chemicals. AVAILABLE 24 HOURS.